Online tee times are not availabile for Penha Longa Mosteiro. 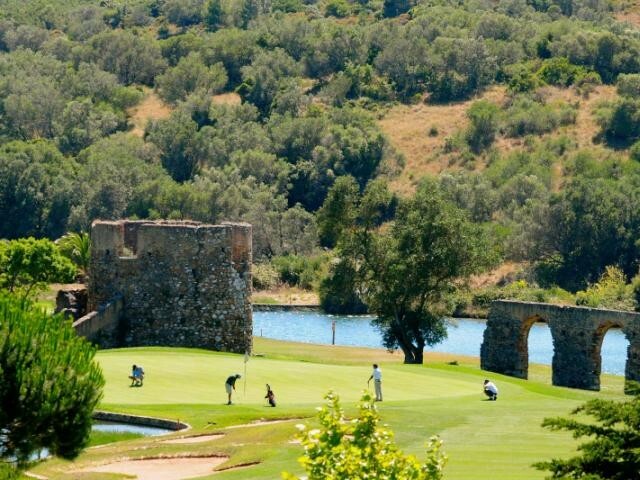 The Penha Longa Mosteiro golf course is a 9 hole course designed by Robert Trent Jr. and acts as a perfect compliment to its senior brother, the Penha Longa Atlantico golf course located near to Lisbon. The nine holes wind their way through the luxurious resort and the wooded countryside. At the same time providing a course to improve the game of the higher handicapped and very useful practice for the more experienced golfers to sharpen their skills. To post a review, score or a notice on Penha Longa Mosteiro page's or to connect with other Penha Longa Mosteiro golfers, please log in to your account or sign up using Google or Facebook.